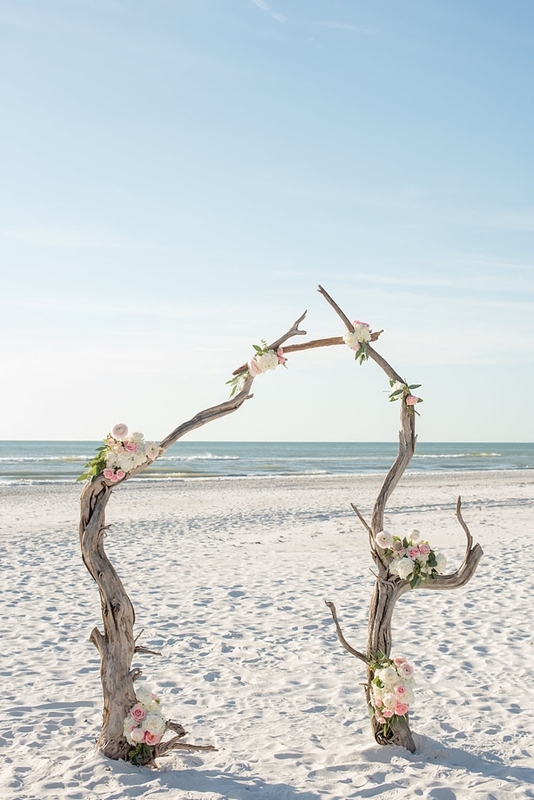 Beach weddings sometimes get unfairly lumped into having a cookie cutter style, but we know that's not the case! There are so many gorgeous ceremony options out there for every personality and every budget. 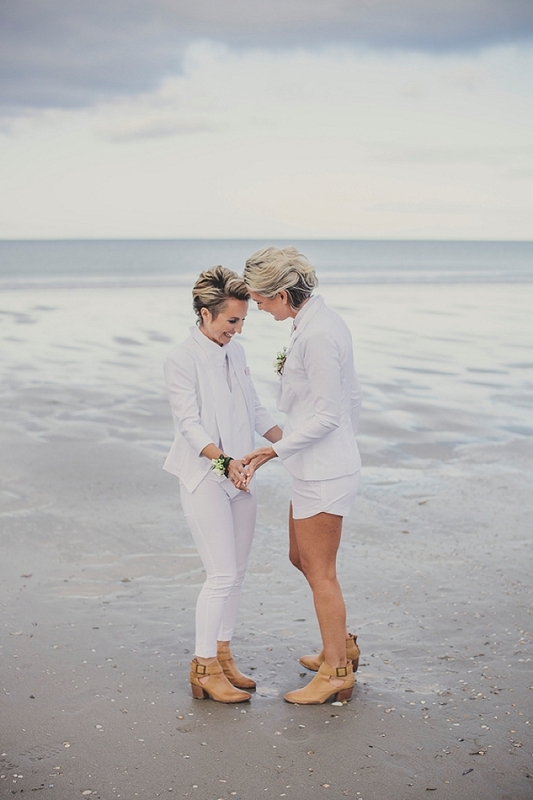 From classic to modern to industrial, take your style preference and bring it up a notch to truly customize where you'll say your vows on the sand! 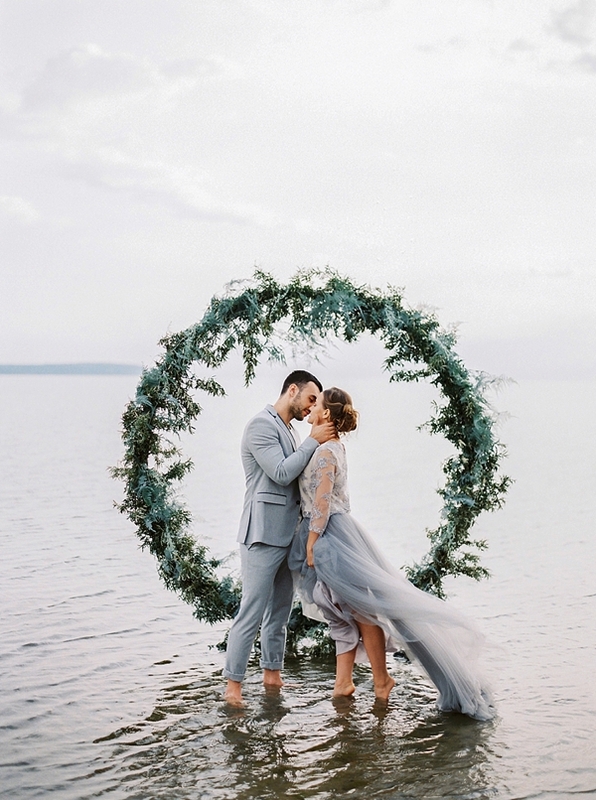 Curated from our fellow wedding editors as well as our past favorites we've published here on Tidewater and Tulle, we have rounded up the ultimate coastal inspiration for your seaside ceremony. And spoiler alert, all of them complement the beautiful ocean view you love so much! Circle arches are one of this year's wedding trends, but be still our hearts for this beauty! 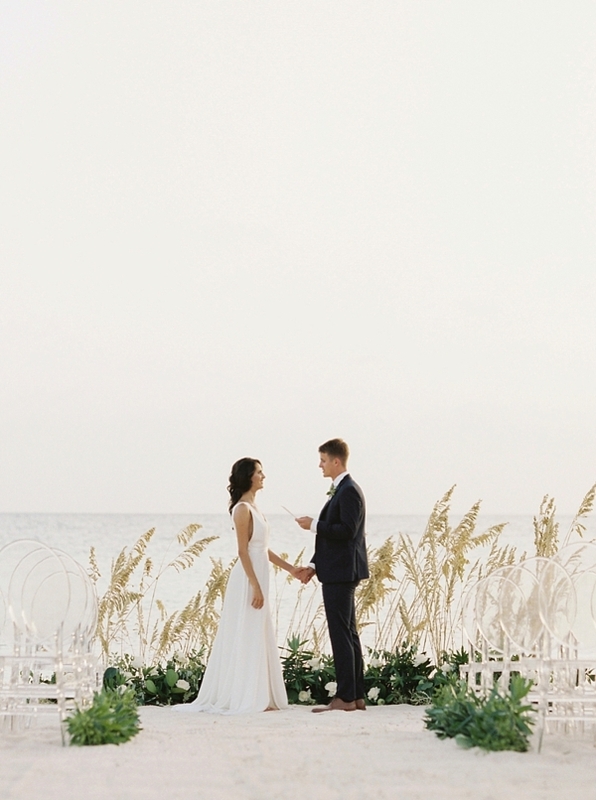 With lush greenery that looks like seaworthy decor, this has beach wedding goals all over it. 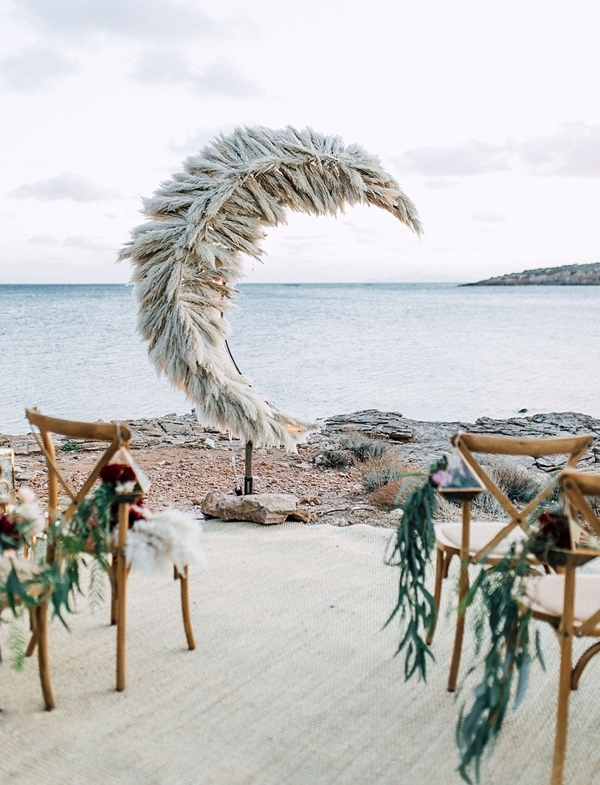 Driftwood will always be a timeless beach material when it comes to weddings, and we especially love this geometric spin by hanging delicate coppery details to complement the organic wood. Who knew that simple palm leaves could look so good! 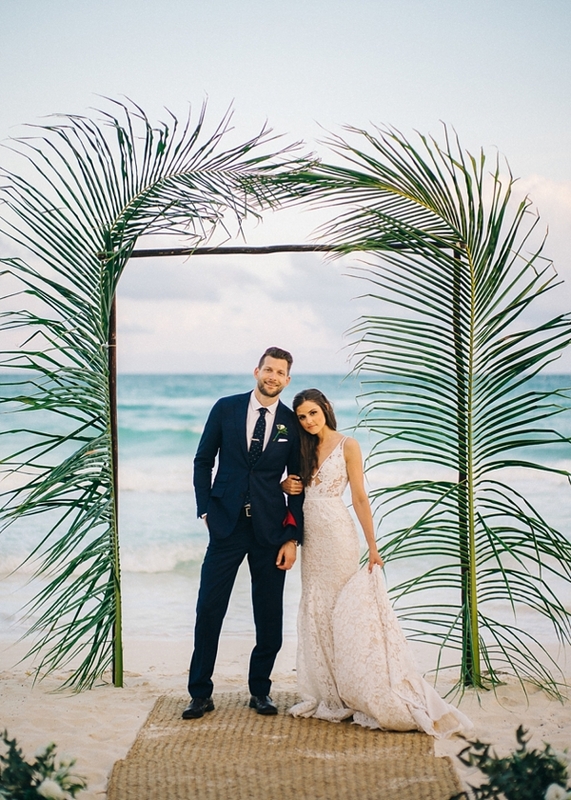 We're obsessed with this modern style and how elegant of an arch this is for a beachfront ceremony. 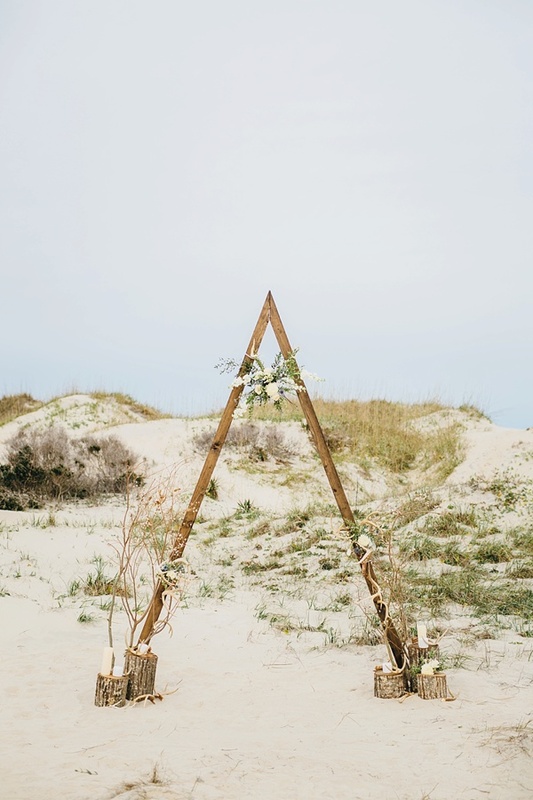 Channel your indie rustic hearts with this triangular arch paired with tree stumps, antlers, and florals befitting of the sandy dunes. 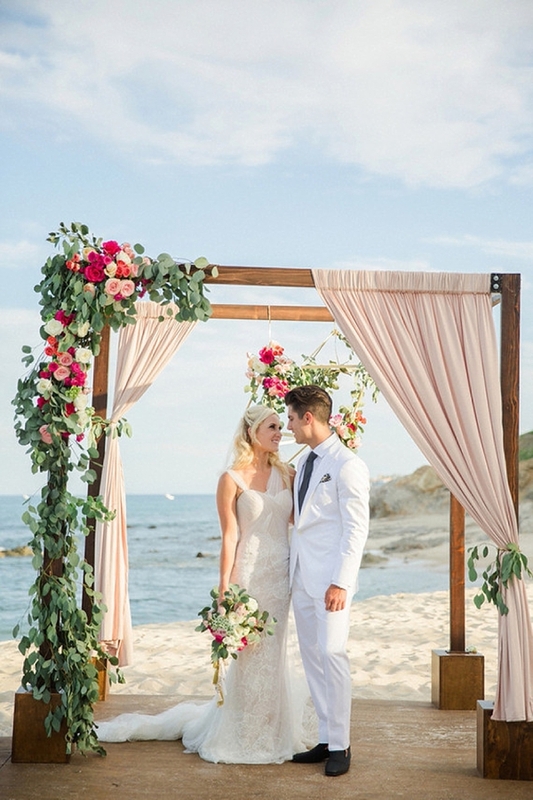 Love the classic look of a chuppah with florals? Modernize it with an asymmetrical design including drapery and textured greenery. 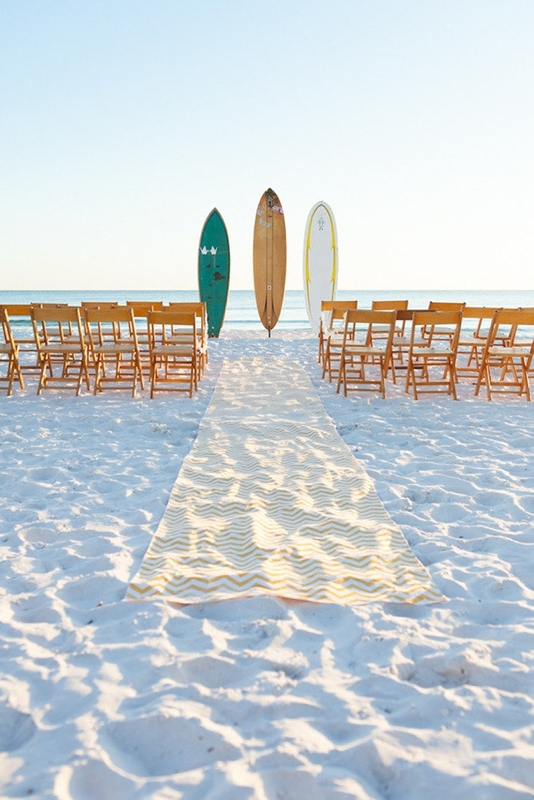 We love the unique spin on beach elegance! Avid surfers and native Virginia Beachers know the beauty of the board. Find your vintage favorites and create a unique retro look for your oceanfront ceremony. Couples who choose to get married on the beach always say it's because of the gorgeous view. We think this minimalist arch shows off the endless ocean landscape beautifully while also framing the lovebirds as they say I Do. Love the celestial trend? Hello, crescent moon that gives all the love to beach textures! 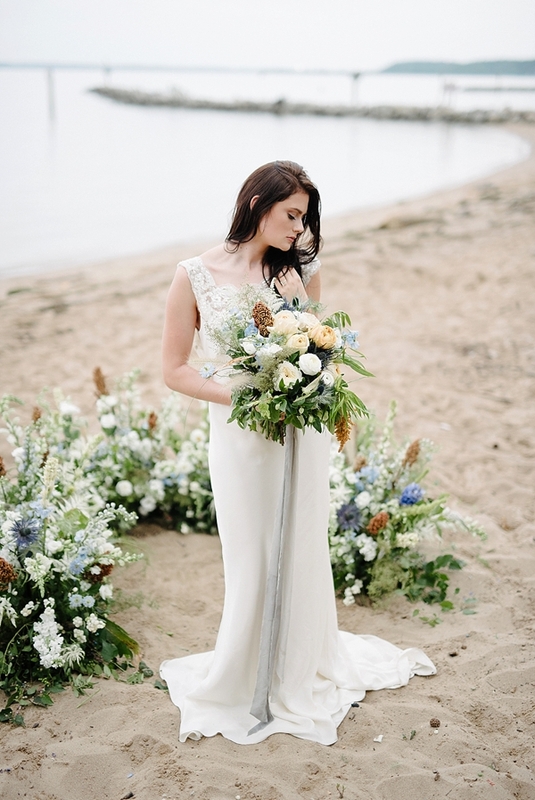 Pampas grass is such a romantic plant to incorporate in any coastal celebration. 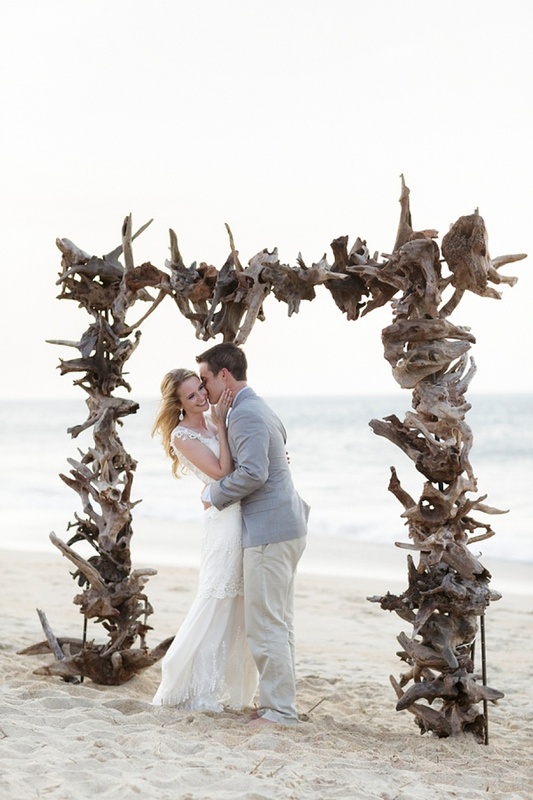 Gather up those funky-shaped driftwood pieces to create ceremony arch masterpieces like this one! The organic rough shapes pay homage to the beauty that only nature can create. Take a note from the East and create an arched bamboo tunnel for breathtaking portraits and backdrop to exchange your vows. 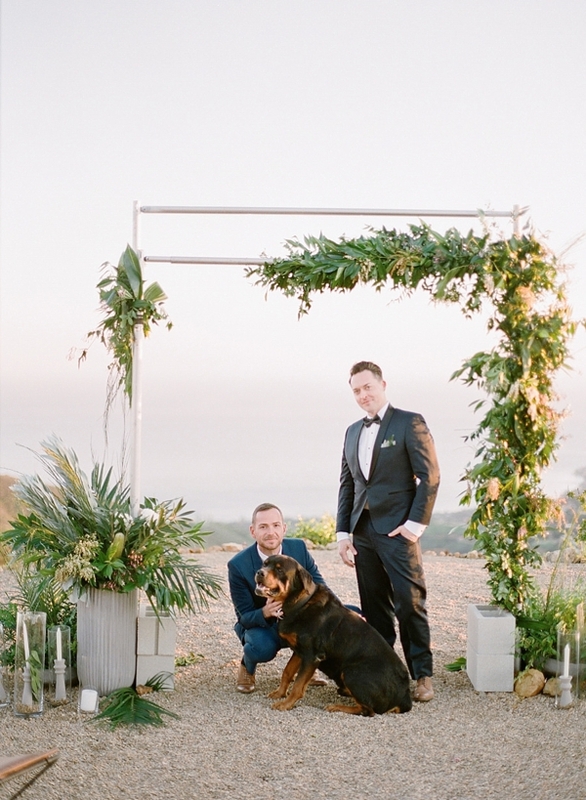 We adore how the floral garlands add dimension and framing for that special moment. Yep, sometimes all you need is just the two of you, especially for elopements! Let the beach speak for itself and revel in the sights and sounds of what's all around you. Love the circle arch idea but what more of a contemporary spin? Look to the hexagon! 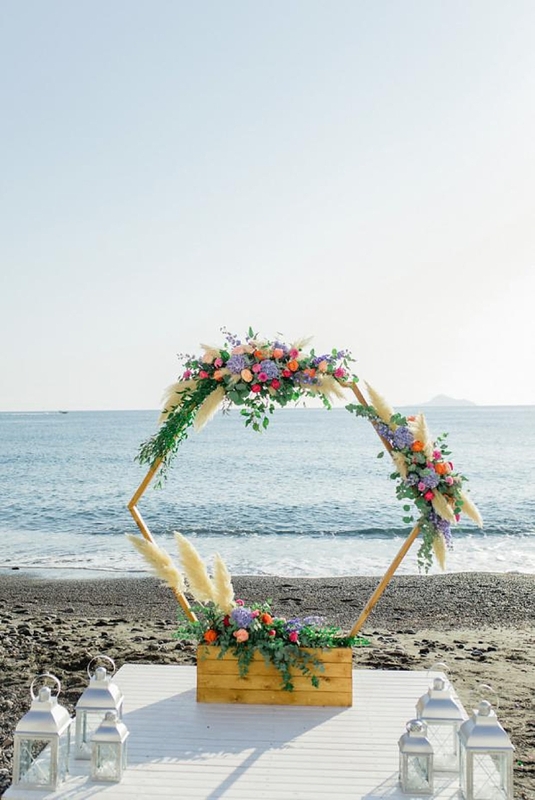 For modern couples, this geometric arch gives a fun and playful look on the beach. If you want more of an ocean horizon view, go low! 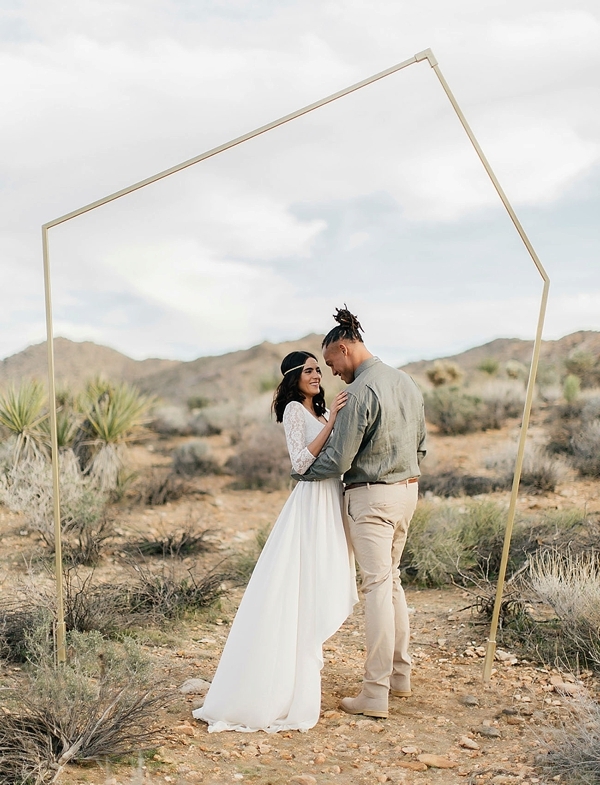 Ground arches are a beautiful and elegant way to create a ceremony space without obstructing the waves. We especially love when the flower colors complement the natural landscape. Be still our cactus wedding boho hearts! 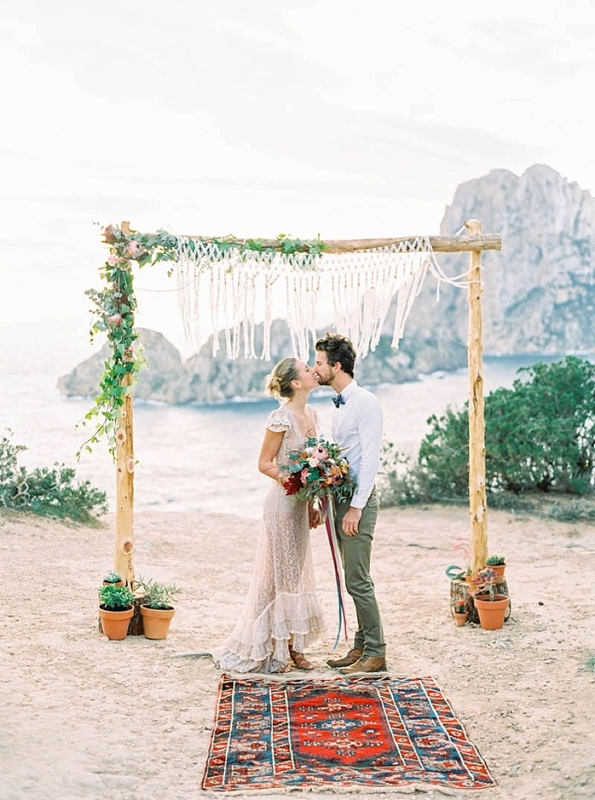 Incorporate macrame and terra cotta pot details to bring a bohemian vibe to your beach ceremony. We even love the altar rug leading up to the spot for vows! Take a note from nature and get inspired by the lines it creates! 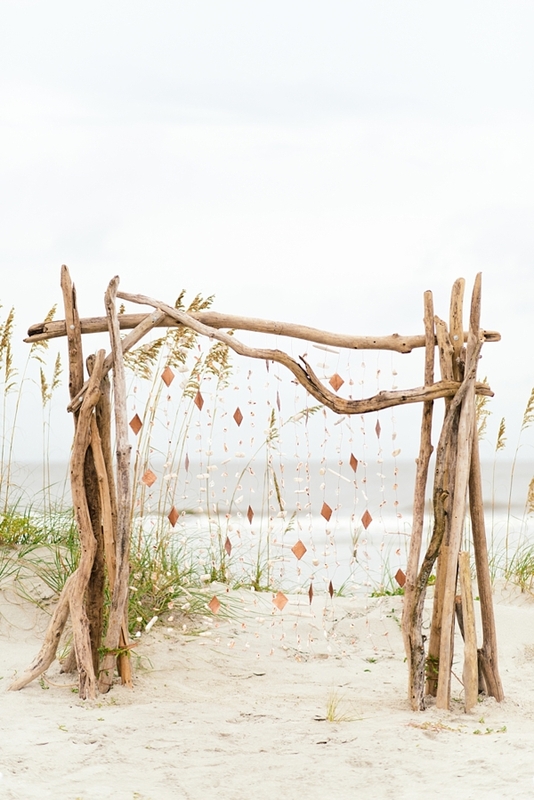 This organic shape for a ceremony arch is just simply lovely for a wedding on the sand. The beautifully arranged blooms even look like they've grown just for the special occasion! 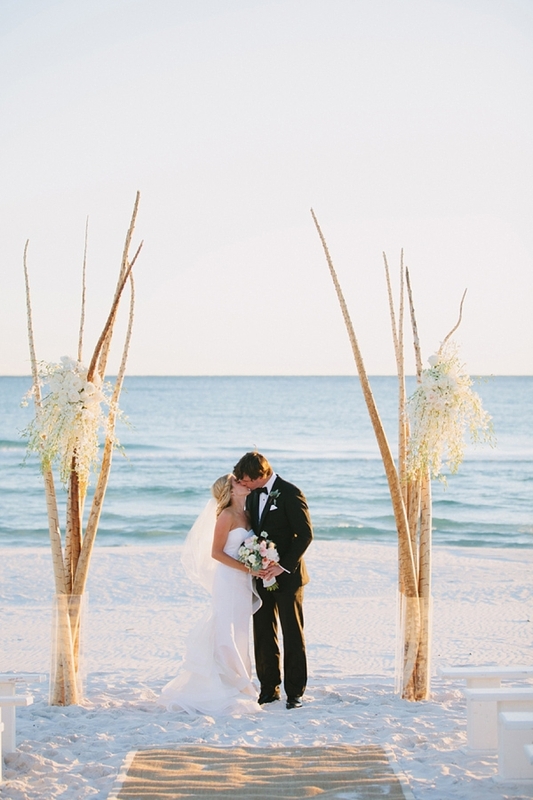 Create height in your ceremony setup by seeking out eclectic tall tree branches like these. Modern elegance never looked so fun. 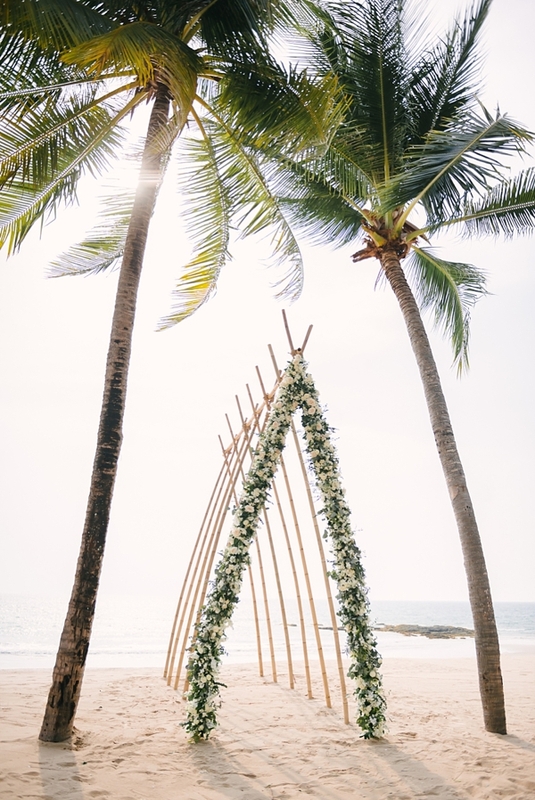 From the ground to the sky, utilize all the best things of the beach with a high-and-low ceremony arch anchored to the ground. It makes for a cozy and oh so chic space for any couple looking for a romantic way to start the next chapter of their lives. and Shop Our Favorite Finds!